- "Dedicated to the Cowboys of the Silver Screen". 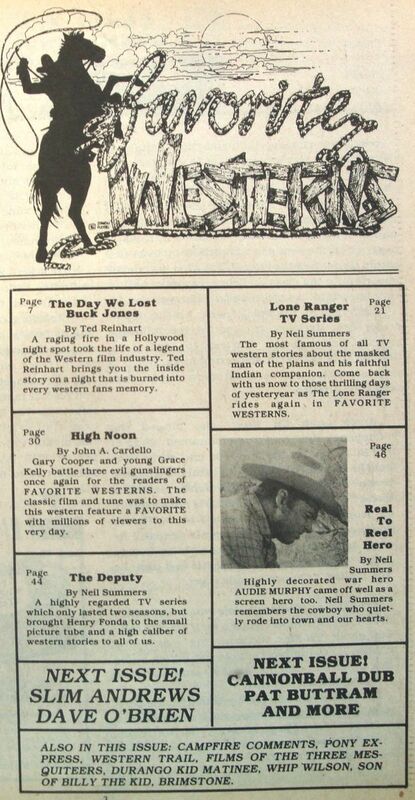 - Merged with SERIAL WORLD to form Westerns & Serials, in 1984. Cover: "Stage to Mesa City"
Contents: Roy Rogers, Jr., Gunsmoke, Kermit Maynard, Blazing Guns the saga of Reb Russell, Louis Currie interview, "Bordertown Gunfighters"
Cover: Wonderwoman & Buck Jones. Cover: Gene Autry & Roy Rogers. 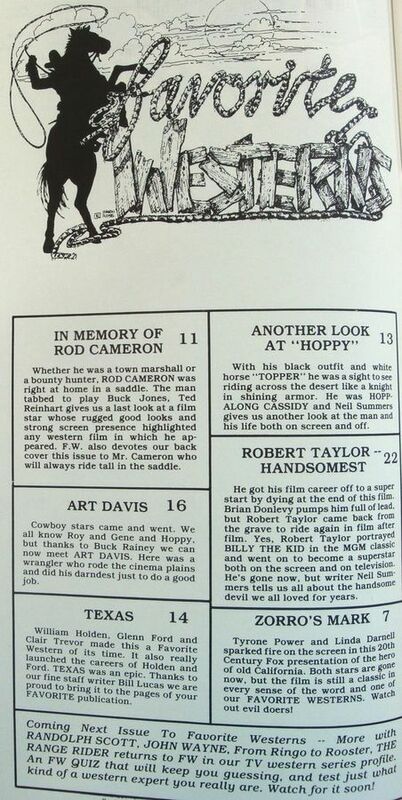 Contents: Joan Woodbury interview, "I rode with Tom Mix", Passing of Jimmy Wakely, The Lone Ranger, Durango Kid Double Feature, Hopalong Cassidy The Man in Black, "In Old Amarillo"
Cover: The Range Busters in "Trail Riders". Cover: Roy Rogers & Dale Evans. Cover: Rex Allen and Koko. Cover: South of Death Valley. Cover: The Lone Ranger Lives! Cover: 4 movie poster ads. 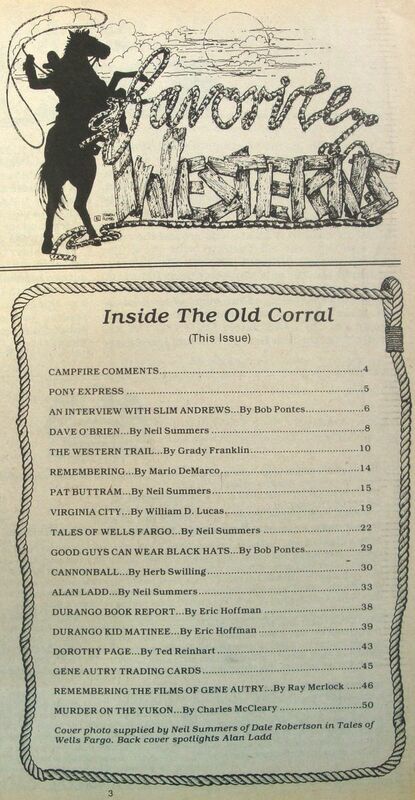 Cover: Roy Rogers & Gabby Hayes.